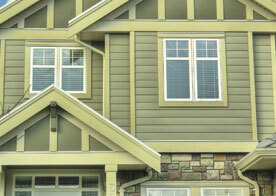 Cambridge Exteriors is well known for their place with home remodeling projects. In Berlin alone, we have worked on dozens of renovation and remodeling projects that have wound up providing our clients with a house that they love coming home to. There are a few reasons that we are known as the go-to remodeling contractors in the area, and it doesn’t take long to figure out why. The best part of remodeling a home is the ability to create a space that you love. When you start the remodeling process with Cambridge Exteriors, we will sit down and talk about which parts of your current layout you’re unhappy with. Together we will work to determine ways that we can create counters to these issues and incorporate them into your remodel. It’s important to remember that our end goal is always to provide you with a space that you enjoy. Once we’ve determined a layout, we will move towards the design features of your remodel. We will present you with a selection of materials that you can incorporate into your design. You can feel confident in the selection because all of the providers that we work with are the leading suppliers in their industry. That means that at the end of your remodeling project, your space will not only be beautiful, but efficient and durable enough to exceed day to day wear and tear. 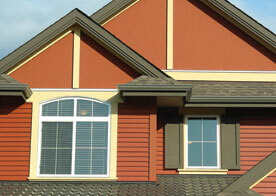 When Cambridge Exteriors started out, our goal was to be the best roofing contractor in Berlin. We’ve now been in the business for more than 20 years, and in that time we have evolved our skills to include other forms of remodeling and renovation projects. We have also mastered our skills so that we can continue to provide you with the highest quality of home remodeling services in the area. From kitchen and bathroom renovations to full on deck remodeling and roof reconstruction, we can handle it all. One of the reasons that we see people backing out of remodeling projects is because of the unknown that always seems to come along. 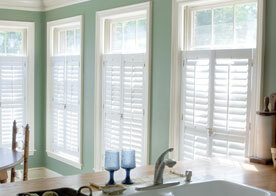 Our team likes to do everything in our power to eliminate the unknown from our remodeling projects. We are able to do this by creating a strong relationship with our clients that allows for open communication and constant team work as we work through the project. We are also able to accomplish this through the consultations that we offer right up front. During these consultations we will review the space that is going to be worked on, what materials will be used and what type of work will be done. In doing so we are able to give you a structured timeframe of what it will take to complete your project, as well as a realistic estimate of what a project of that size will cost. Contact Cambridge Exteriors in Berlin today and set up an appointment with one of our remodeling contractors. We can’t wait to sit down and start planning out your remodeling projects.